Our MySpace page. Everybody's got one too! Wikipedia page. Stuff about us. Feel free to add stuff! 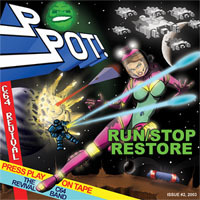 Remix64 -- Vote for your favourite C64 remix. C64 Audio -- Chris Abbot's website: CDs, MP3s & live events. ProtoVision sells new games and hardware for the C64! Visa Röster a vocal ensemble singing C64 tunes a cappella! Get their CD -- it is fantastic. 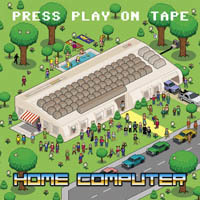 The band features the well known Amiga demo maker Mahoney among others. Lemon64 -- Pure C64 nostalgia! The SIDPLAY Homepage -- Listen to C64 tunes on your PC. High Voltage SID Collection -- A large collection of original C64 tunes. The CCS64 Emulator -- Play C64 games on your PC. Arnold -- a large collection of C64 games. Gamebase64 -- a great project trying to make a database of all C64 games and a frontend for playing the games and listening to the tunes. A C64 music blog. Interesting! Cache64. Site with nice gui and c64 contents. C64 Art. Artist Isabella Rosendorf is painting C64 inspired art. 8bit weapon, used to do c64 tunes but now doing his own stuff. Bjorn Lynne's website, Bjorn has made great music for several console games and is selling his CDs (and others) online. Axes Denied is another game tune band. This group is Finnish! Machinae Supremacy is a great Swedish band who has done some great covers of C64 songs among their own stuff. Check them out! Mini bosses, a Nintendo band. Nintendometal, a metal Nintendo band. The Black Mages, hard rock Final Fantasy. Cursor, discontinued, site still up. The Mario Systems, misc games, played on piano. Metroid Metal, Metroid played as metal. NESkimos, GameCube band, known from MTV. Project X A MegaMan(3) band. SSH A bit on the heavy side, many mp3s. LoadingReadyRun, C64 rappers, they've got lots of videos online. Check them out.